Get a Manufacturer Repurchase Vehicle from Nate Wade Subaru & Save Thousands Compared to New! They say, "When life gives you lemons, make lemonade" - so when Subaru sells a customer an ultra-rare lemon (according to the legal definition of "lemon" in the state of Utah), Subaru of America will buy it back from them, take a close look under the hood to fix any long-term maintenance issues, and then we'll offer the vehicle for sale as a Manufacturer Repurchase Vehicle at Nate Wade Subaru. If you choose a Manufacturer Repurchase Vehicle, you'll be able to save thousands compared to a brand-new Subaru of the same model and trim level. These cars come like-new with a complete dealer inspection, a full report of the vehicle's maintenance history and the full new-car warranty! Did you know that 97% of Subaru vehicles sold in the past 10 years are still on the road today? That's more than any other manufacturer! And it's how you know that a Subaru is a durable machine that'll last you for years to come. 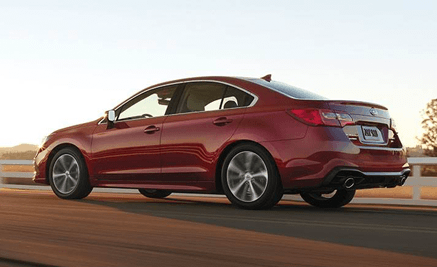 Learn below why a Subaru buyback vehicle just might be the best fit for you. What is a Lemon, and Why Should I Buy One? Here in the state of Utah, the Utah New Motor Vehicle Warranties Act states that, if a new vehicle has to be brought in for the same service four or more times in its first year, or spends more than 30 days in the shop in its first year, that vehicle is considered a "lemon." Legally, the manufacturer must immediately replace a lemon, or provide a cash refund minus a prorated fee for the mileage put on the vehicle. When this happens, Subaru of America buys the vehicle back from the customer. Once the cause of the buyback has been sufficiently addressed, a new "branded" title is issued. The branded title shows that the vehicle was bought back. Vehicle history reports like CARFAX will also show the buyback. We'll tell you exactly what the original customer's complaint with the vehicle was, and what steps were taken to address it. Since it's still covered by the original warranty, you can be confident that any lingering issues will be addressed at no cost to you! The car will, however, depreciate more rapidly in value for the first few years of ownership. You may also find it more difficult to sell with the branded title. That being said, if you're looking for a new Subaru you plan to own for many years, a buyback Subaru might just be your best bet! You'll save money off the sticker price, get a complete inspection of the vehicle and extensive history report, as well as warranty coverage to protect you from anything else that could go wrong. Subaru sells more than half a million vehicles every year in the U.S., and only a few hundred each year are bought back. Other dealerships won't put these cars on their lots, but we're confident in the workmanship and quality of Subaru and their factory-trained dealership technicians. What's more, we want to be able to offer you incredible savings! That's why we offer these buybacks at our dealership. 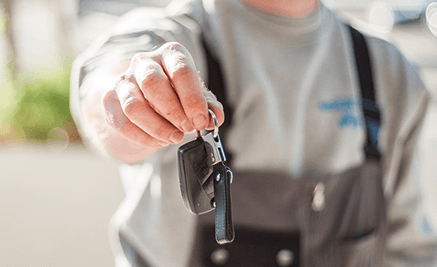 We give you all the information you need to make an informed decision, and help you save thousands compared to new when you purchase a Manufacturer Repurchase vehicle from Nate Wade Subaru.